Karen is only 1 of 17 trained and certified to use the Virtual Gastric Band Procedure (UK) in New Zealand. Karen trained under Sheila Granger – the pioneer of the Virtual Gastric Band in early 2013 and has helped many people throughout Otago and Southland achieve their goals. Two separate trials in the UK have shown an impressive 95% success rate! Have you found it difficult to lose those extra pounds? Would you like a process where you are happy, relaxed and can eat whatever you like? If you have answered ‘yes’ to any of these questions – the specialized Virtual Gastric Band program offered here by Hypnotherapy Dunedin may be your answer. What Is The Virtual Gastric Band Program? This powerful program is about the operation that never happened! Now finally, you can lose weight without surgery. It is a new non-surgical technique that utilizes a number of therapeutic modalities including the power of Hypnosis, Cognitive Behavioral Therapy (often used by psychologists) and NLP to change the way you think about food. Not only does it encourage exercise and address psychological issues connected with your past relationship with food, it retrains your mind to listen to those messages that your stomach is sending you and to be satisfied with smaller amounts of food. As babies we all have this mechanism, however things often go astray with social conditioning where we are taught to ignore this very important mechanism. The following video has more information on how the Virtual Gastric Band works. First off all this not a diet! We all know that diets work……. but only in the short term. You can eat what you want so there are no feelings of deprivation or hunger and this is where many weight loss programs fail. 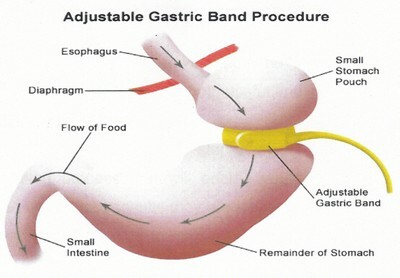 This system offers obvious benefits when compared to the surgical gastric banding. It is non-invasive and natural. There are no side-effects, no recovery time, risks or complications and it results in permanent changes to eating patterns. The program is cost effective when compared to surgery (you don’t have to take out a mortgage on your house) or other diet products and in motivated patients, it delivers similar results as surgery. Trials show an average weight loss of 2 – 3kg during week one, followed by 0.5 – 1 kg per week. You will feel as if your stomach is very small and not able to accommodate more than a small amount of food – while trusting your body to take in all the nutrients that it needs. Gentle hypnotic suggestions will guide you to change your relationship with food. Changes at the unconscious level will mean that you will easily make healthier food choices and exercise more. Until now, even although you tried to eat less and exercise more, your unconscious mind prevented you from sticking to your plan and achieving your goals. But now, because you’ll be on the Virtual Gastric Band program, you will succeed. You will succeed because the suggestions you receive mislead your unconscious mind into thinking that you actually went through with weight loss surgery! Your conscious mind of course, always knows the truth. The Virtual Gastric Band is a remarkable program pioneered by Sheila Granger in the UK who used this method on her weight loss clients with the view of subjecting it to further trials. A group of 25 volunteers – of different genders, age, shapes and sizes underwent 3 one hour sessions that included the ‘fitting’ of a virtual gastric band in the first session. Sheila was astounded to record a 95% success rate and that in total, the group lost over 14 stone (88.9kg) between them in just three weeks. All but one reported a change in their eating habits. Weight loss averaged at 2 – 3 kg during week one followed by 0.5 – 1 kg per week. A second trial was arranged by a general practitioner in East Yorkshire, UK for 12 of his patients who had been removed from the National Health Services waiting list. This trial produced equally successful results as the initial trial with a 95% success rate. Local, national and international media became interested in the results of Shelia’s work and the program has been reported in newspaper articles, magazines and covered by the BBC television and radio. The program consists of four one-on-one hypnotherapy sessions, tailored to your goals and individual needs. During the first session, we will discuss your eating habits and hypnotically install the gastric band. You will be asked to follow some simple guidelines at home. You will be given written guidelines and a CD to listen to at home to reinforce the work that has been done. Subsequent sessions will follow a similar structure to the first, however with differing focus and adjustments of the band if necessary. Why Have Weight Loss Diets Not Worked For Me? Unfortunately you are not alone. A high percentage of people find that diets for quick weight loss do not work. They may lose 5 to 10 percent of their weight initially, only to find their dreams of becoming slim shatter around them when they are no longer on the diet and the weight comes back on again. In other words, the diet will only work for as long as they remain on the diet and lets face it – most people become bored with diets over time. The problem lies with the fact that there are a number of reasons underlying weight gain that are not addressed by quick weight loss diets. If these reasons are not addressed it is difficult to reach or sustain the weight that you have worked hard to achieve. Traditional weight loss diets often fail to change the way you think about food, your normal eating habits and the underlying psychological reasons as to why you are overeating, or put on weight in the first instance. In fact some diets may even leave you feeling hungry and thus create powerful cravings for food. 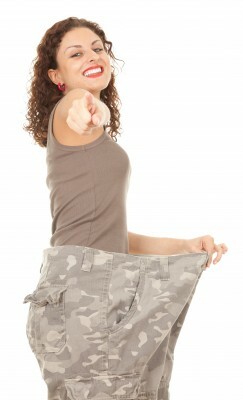 Weight loss hypnotherapy is easier than you think and helps you to maintain a healthy body and weight. It addresses those underlying reasons for overeating and retrains your mind to eat healthy foods when you are hungry. It can change your eating habits, help you avoid temptations and increase your self confidence. This process will not only help you to feel better about yourself, but will also teach you other techniques that will benefit other domains in your life. “Such an easy program and weight continuing to track down! I have not felt deprived at all and I now find myself not interested in those cakes, sweets and chips that I would have reached out for and grabbed in the past”. “Things are going really well. I’ve lost 12.4 kgs so far. Im feeling more energised and motivated, which I’m loving”. (one month later). “This is a life changing program – I feel in control of life again. Now 40kg down and enjoying the journey”. “Hi Karen I saw you 3 months ago. Since then I have gone from 78kg to 66kg, my goal weight. I have been a yo-yo dieter for 40 years. I can’t believe how easy the Virtual Gastric Band made it. I have an an asthmatic since my 20’s; I have only used my inhaler once in the time I have been losing weight. My blood pressure is also good. Even my Dr is amazed. Thank you so much. The only thing I am disappointed about is that I didn’t know about it sooner”.